Choose Your Best Natural Deodorant Without Sacrificing Your Social Life! When the weather gets warm, it’s a great time to enjoy the sun, have picnics, lounge on the beach…. and put toxins in our armpits? Truth is, most conventional deodorants and antiperspirants are a recipe for toxin build-up and hormonal imbalance. Unfortunately, some natural deodorants are a recipe for scaring away friends and may still contain harmful ingredients. Read on to learn how to use healthy deodorant and keep on good terms with your friends, too! When most of us think of sweating, we believe it mainly cools down our bodies so we don’t overheat. While it’s true our bodies do produce sweat to help us stay cool, that is not its only function. Our bodies actually produce two types of sweat: we sweat when we’re hot, but we also sweat when we’re nervous. The eccrine sweat glands are found all over our skin and are responsible for temperature control. They mainly release water and salt, and the liquid typically evaporates quickly to help us cool off. The apocrine sweat glands are found in the armpits (as well as some other places), and they secrete a fatty fluid as a response to stress. The bacteria living on our skin love to feed on the fatty secretions; unfortunately, this typically results in a bad smell. Besides cooling us down, sweating is a great way for our bodies to detox and expel harmful toxins. However, detoxing through sweat is often associated with an odor. Since we don’t like smelling bad, it’s easy to turn to antiperspirants to control the issue. Using antiperspirants may appear to solve the odor problem, but blocking our bodies’ abilities to expel harmful substances can lead to ever-increasing toxicity, which, in turn, can blossom into a host of chronic health issues. In addition to helping us detox and cool down, sweating also burns calories, boosts the immune system, releases endorphins, and helps circulation. Definitely not something we want to skip! It’s so easy to grab our favorite deodorant and slather it on our skin. But is it safe? Did you know most conventional deodorants contain harmful ingredients that have been linked to hormone imbalances, cancer, neurotoxicity and impaired detoxification? Since our skin absorbs much of what we put on it, it’s important to read the labels on our personal care products, including deodorant. Parabens - Parabens typically function as preservatives, preventing the growth of harmful bacteria and fungi. While that is helpful, parabens have also been linked to hormonal imbalances, as they can mimic estrogen and confuse the body. Fragrance/parfum - The benefits of adding fragrances to deodorant should be obvious! Unfortunately, the problems outweigh the benefits when we consider that many harmful chemicals can be included under the listing of fragrance or parfum in product ingredient lists, resulting in hormone imbalance and toxicity. With such an array of toxicity around us, it can be perplexing to sort it all out! Fortunately, healthy deodorant options do exist. Unfortunately, many people experience difficulties when trying to switch to non-toxic deodorant. With great hopes they buy an expensive natural deodorant…. but within days they develop painful rashes and skin irritation. Or maybe the product doesn’t even work at odor control! When we try natural deodorant and encourage detoxing through sweating, this can invite the stored toxins to the surface, resulting in rashes and a worse odor than ever. It’s tough. Many people get discouraged and give up when the problem gets worse. And that’s understandable. Who wants to spend their days smelling bad, all alone, and with a rash in their armpits? But do we really want to put harmful chemicals into our bodies? Our bodies are loaded down with toxins every day. One way to reduce both the smell and the rashes is to address these toxins and help usher them out of our bodies. 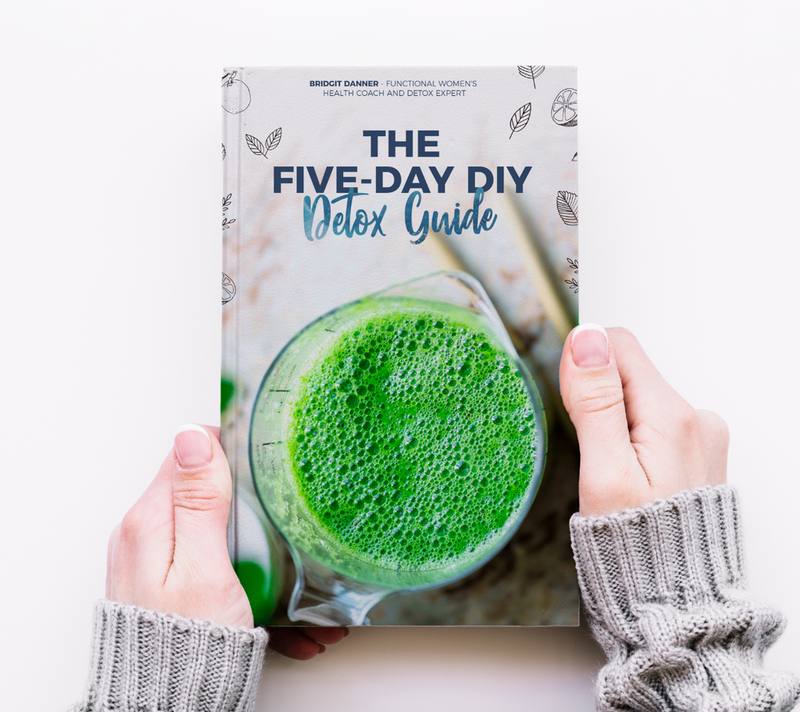 Strange as an “armpit detox” may sound, this is a fairly easy step with a good track record for helping people transition to natural deodorant. This is a similar idea to clay face masks, except we put the mask in the armpits instead. Bentonite clay is famous for increasing blood flow to the area where it’s applied and drawing toxins out of the body, so it’s a great choice. If you’re struggling to switch to natural deodorant, chances are your system is overburdened. It’s time to identify and properly eliminate those toxins! Many of our clients come to us burdened with heavy metals, mold toxicity, and other chemical toxins. Listen to our recent podcast with founder Bridgit Danner and lead coach Ann Melin to learn more about our approach to testing for different toxins. Are you wondering if toxins testing could help you? Check out our coaching page to explore your options! 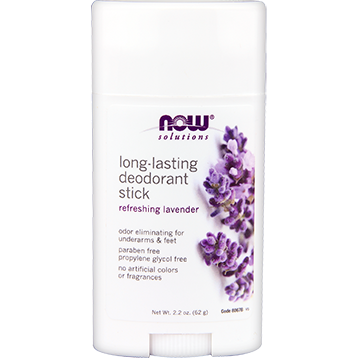 I love the NOW Long-Lasting Deodorant Stick because it offers amazing value and unparalleled protection you can really count on. Click here to view my favorite non-toxic deodorant. I also really love this one. Older PostDo You Have Low Hormone Levels?